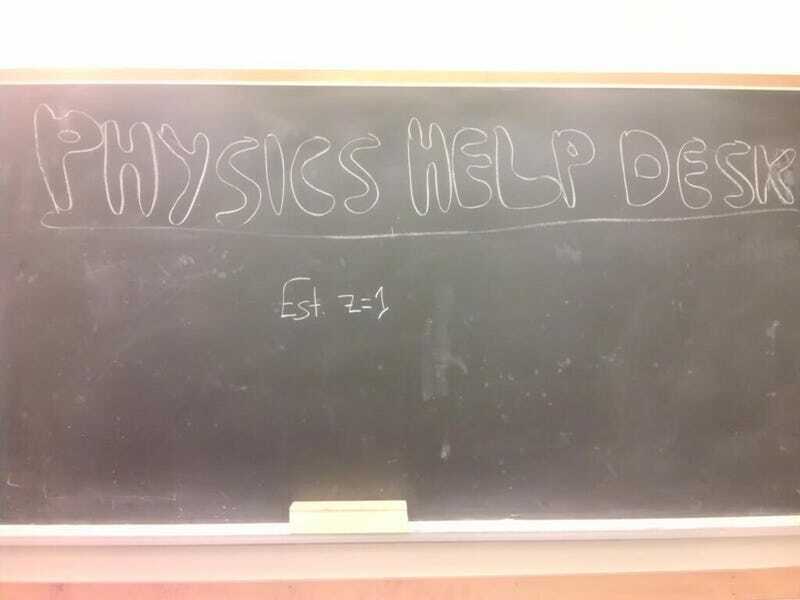 Physics Help Desk is a day early this week due to some switching around to accommodate schedules. I'm bored, no one is here, let's get this show on the road! Update: Typical. The one day I have extended Help Desk hours is the only time no-one shows up AND no-one at io9 has any questions!